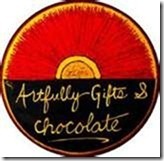 That is how a met business partners Edward Hart & Eric Nelson owners of Artfully Gifts & Chocolate at the Alexandria Fine Arts & Wine Festival on October of 2011. We scheduled time to meet so we could talk about possibly placing an order to carry Evelyn Brooks Designs at their Alexandria location. I went there the other day and saw a mom with two kids trying to get some gifts…and as a mom I admired what she did…she got a cup of ice cream for each of her kids, sat them on the tables and she peacefully got her gifts…I was thinking inside myself WHAT A GREAT IDEA! Getting into a new boutique or gallery is always a uncertain. We did not know if my jewelry designs were going to work or not, but Edward & Eric saw my work as a great fit for their gift shop. And indeed I brought my 1st pieces by the end of November, they quickly sold and have been selling non-stop ever since. Later in January we talked about launching my Nazca Jewelry Collection at their Alexandria location just in time to celebrate Valentine’s, too. This exclusive line of jewelry is an extension of my eco-chic collection and it is inspired by the Nazca lines, which represented a celestial Inca calendar used for rituals related to astronomy, the Spring 2012 Nazca Collection evokes mystery and mythology. Legend has it that the Nazca lines were built by an ancient Peruvian civilization called Nazca, located in the south of Peru. 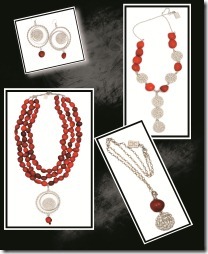 The collection is hand-made with natural seeds of red, black, and hand-texturized sheets of silver. 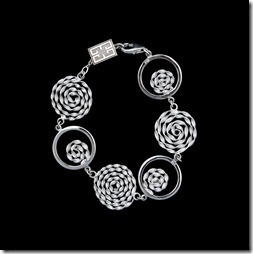 This new collection will feature necklaces, bracelets, and earrings for women. Prices range from $68 – $950. Now if you have the opportunity and travel to Peru take at least to days to visit Ica and go to the town of Nazca. Where you can take off on a little airplane and fly over The Famous Nazca Lines. 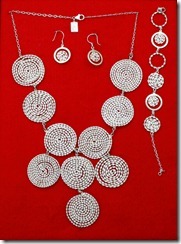 Once you are there, you will understand more closely my jewelry collection inspired by the Nazca Lines.